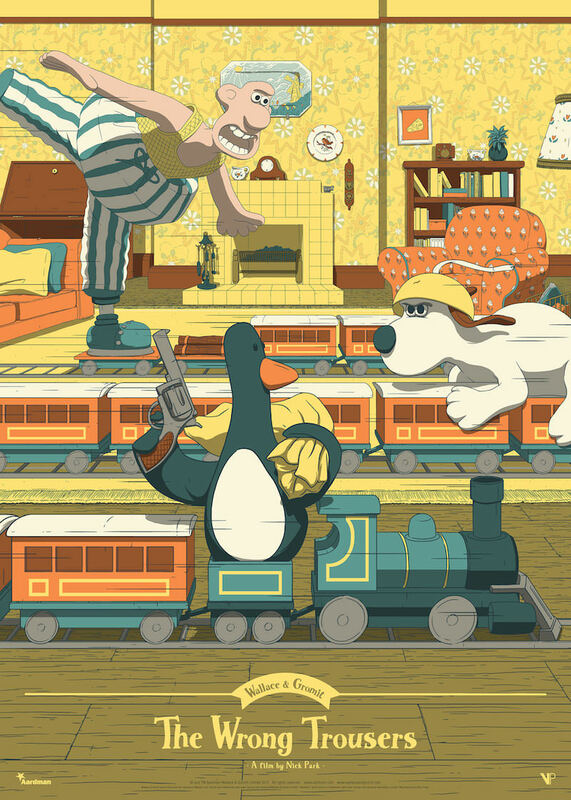 Vice Press has another great new poster by Florey for Wallace and Gromit up for sale. This one, for The Wrong Trousers, is a 19.5″ x 27.5″ screenprint, has an edition of 100, and costs £40. Visit Vice-Press.com.